Special interests: Ussher surname, Dublin City (north suburbs). 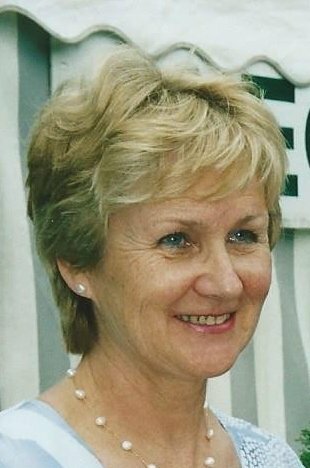 Joan Sharkey became interested in genealogy in the 1980s when she joined a small group in her local library in Raheny, Dublin, who helped each other in tracing their own family history. From this informal gathering the Raheny Heritage Society was founded in 1987 which catered for members interested in both genealogy and local history. From the beginning, Joan was very active in the society, serving as Honorary Secretary for several years. She has researched and assisted in the society’s publications as well as organising many exhibitions on family and local history. From 1999 until 2002 Joan worked as a genealogist with the American Elderhostel groups visiting Ireland to research their ancestry. She joined AGI in 2003 and worked alongside her colleagues in the Genealogy Advisory Service in the National Library as well as the Genealogical Service in the National Archives. She served on the committee of the 4th Irish Genealogical Congress held in Dublin in September 2001. She is also a member of the Irish Genealogical Research Society (IGRS) and the Irish Family History Society (IFHS), serving on the later as a committee member since 2001. In recent years she has given many lectures on local and family history. Joan has been a member of Council for AGI since 2005. She served as Honorary Treasurer from 2006 to 2008 and again from 2010 to 2012.